2. 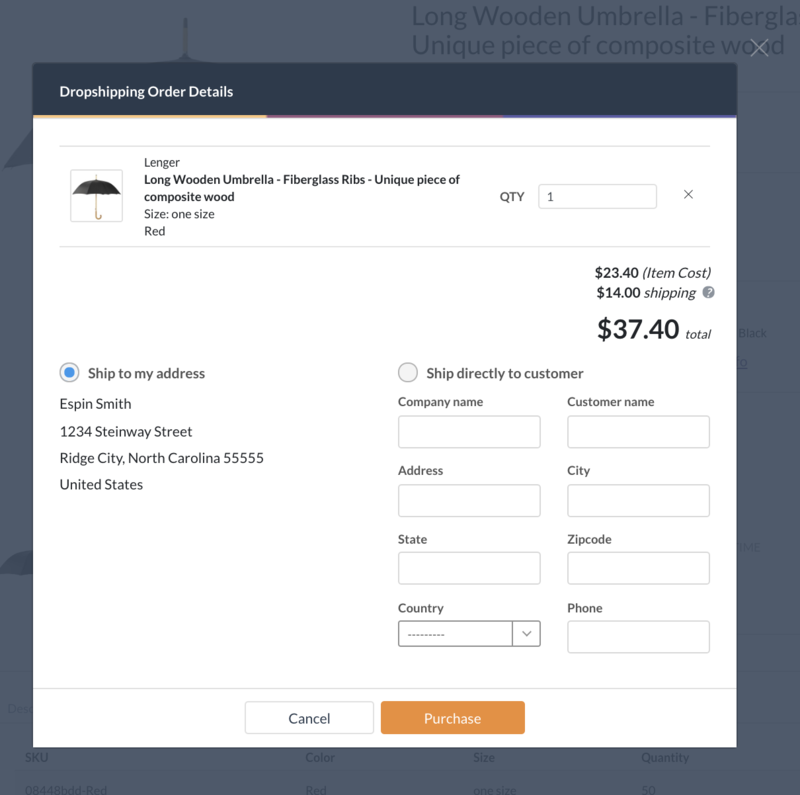 Select either "Ship to my address" - Click "Buy" and wait for a rectangular popup with the Order details to appear. 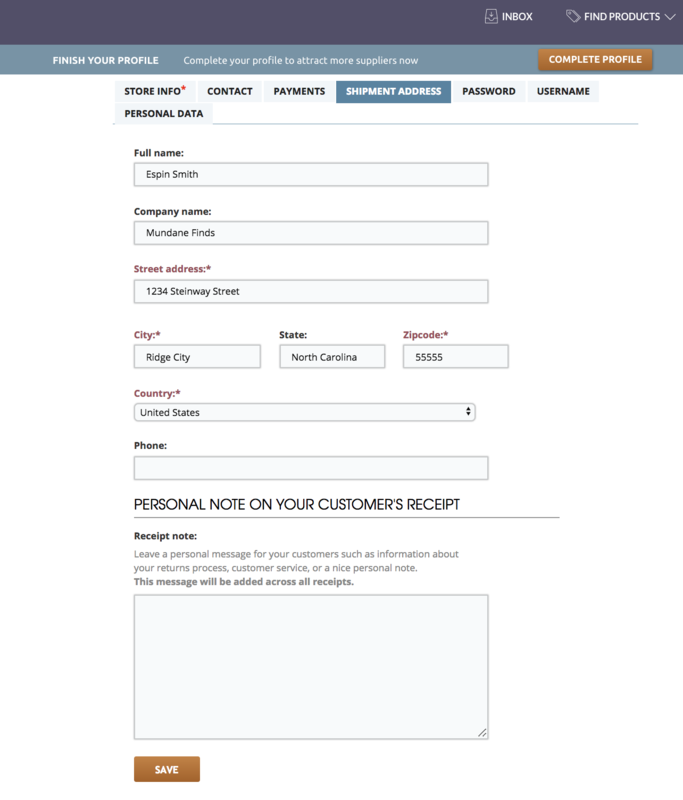 You can choose to ship the item directly to your mailing address, or directly to your customer. Please note that you can update your personal Shipment Details under Edit Profile > Shipment Address. Don't forget to hit the "Save" button! 3. 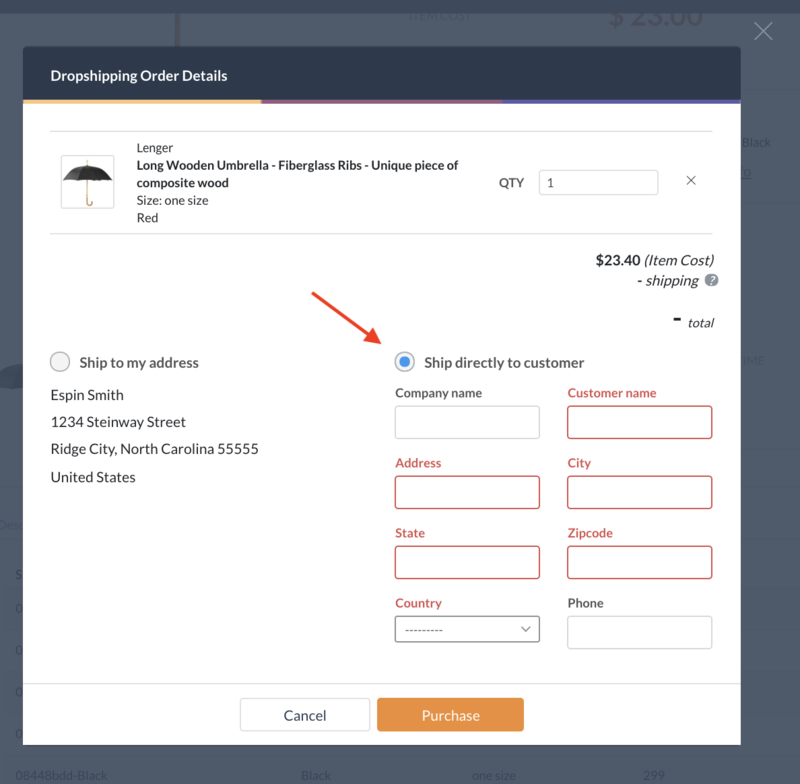 Or, select "Ship Directly to Customer" - If you plan to have the item shipped directly to your customer, please select that option and then fill out the highlighted fields. 4. Submit Payment - Once you've filled out the required fields, click "Purchase". You will then be directed to a payment checkout page. 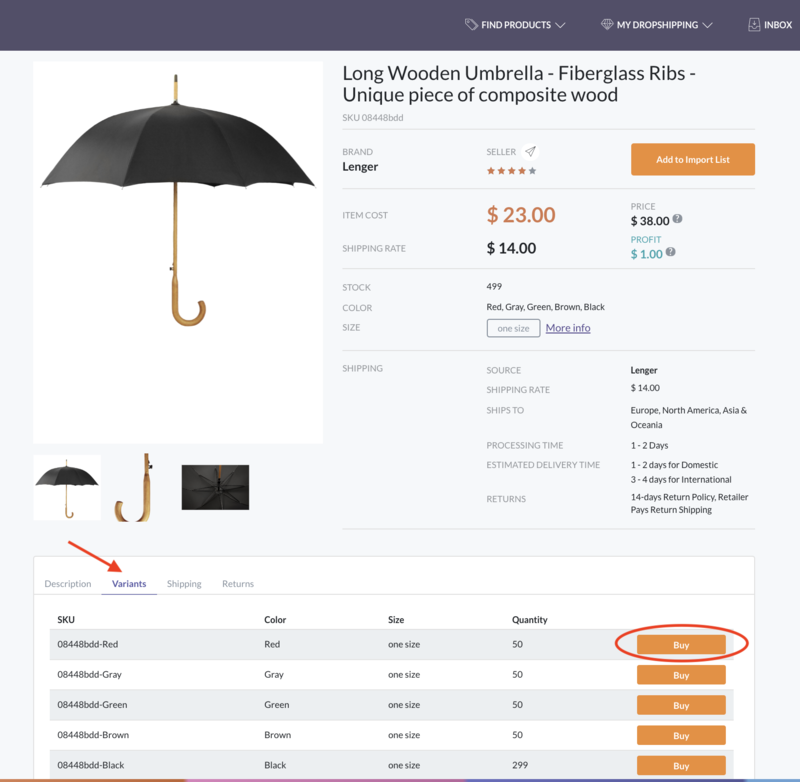 Please review the order details and then click "Pay Now". 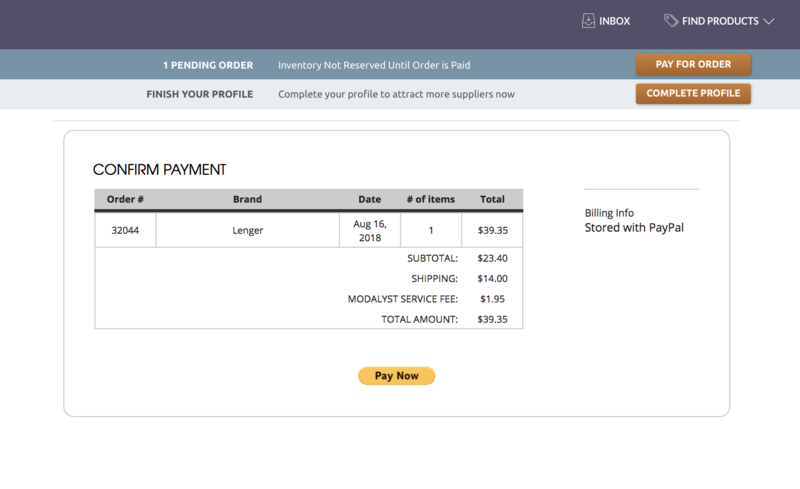 You will also be notified by Modalyst via email that payment was received and the Supplier will be processing it soon.